Home » Blog » Aerospace » How will Aerospace be affected by No Deal? How will Aerospace be affected by No Deal? Yesterday the Government published a third round of Technical Notices, laying out what the UK will do in the event of a No Deal Brexit outcome. 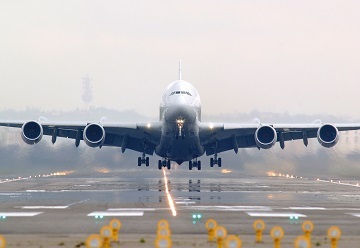 These included crucial issues for aviation and aerospace, with notices on: Aviation Safety, Aviation Security, flights to and from the EU, and the future of the REACH chemical regulation. The notices outline the legal and political framework which will exist for the UK aviation & aerospace industry in the event of a No Deal Brexit, with the intention of ensuring both continued passenger safety and business continuity. The UK’s Technical Notices are the counterpart to the EU’s notices to stakeholders earlier this year. In addition, the CAA has just created a microsite to provide further information for the aviation and aerospace industries about what actions they will take under a No Deal. This, and other publications by key regulators such as ECHA’s Q&As on UK withdrawal, are vital reading for industry to understand what preparations they can and should take at this stage. We would urge companies to study the EU’s Notices to Stakeholders, the UK’s Technical Notices and the CAA’s microsite in order to understand how your operations will be affected in the event of a No Deal outcome to the Brexit negotiations. The CAA will take over competency for issuing all UK safety certificates & approvals from 29 March 2019. The CAA will continue to recognise EASA certifications under UK law, and organisations will then have a transitional period of no more than two years in order to apply for CAA certification. Existing certification issued by the CAA will continue to remain valid in the UK. Under No Deal, the EU would not recognise UK-based licences, certificates or approvals. Under a No Deal, UK parts would not be able to be supplied for EU-registered aircraft, nor would UK engineers be able to repair those aircraft. Under No Deal, flights between the UK and EU will be restricted. UK-registered carriers will no longer be able to fly within the EU, and EU-registered carriers will no longer be able to fly within the UK. The UK is hopeful that in the event of a No Deal, the UK and the EU will be able to negotiate a ‘barebones’ agreement which will allow air transport services to continue. UK cargo carriers will need an EU ‘ACC3’ designation to transport cargo from the UK into the EU. The EU has not yet established a procedure for UK carriers to obtain this status. The Health and Safety Executive will take as the lead UK regulatory agency for chemicals. All existing UK-based registrations and authorisations will be carried into the new UK system. These will need to be validated within 60 days using the new UK IT system, with a full dossier of information provided within two years. UK downstream users of authorisations would no longer be able to rely on authorisation decisions addressed to companies in the EEA. Companies importing into the European Economic Area (EEA) will have to shift their registrations via an affiliate or Only Representative in order to maintain market access to the EEA.